This post is brought to you by Wren Kitchens. With the ever increasing amount of DIY resources available, it’s no wonder that there has been an upward trend of people "doing it themselves". Industry professionals tip DIY furnishings to be prevalent in 2013, with even more people looking to personalise their homes through innovative furnishings produced by up-cycling the artefacts they have collected. Styles from around the world have been adopted in Western culture ever since ships first landed on foreign shores. Today is no different, as the design industry witnesses the wide embracing of African inspirations. From warm colours and animal skin imitations to intricately designed dark-wood furniture, it is easy to create an oasis right in the home. Browse through this Pinterest board for some inspiration! The popularity of street artists such as Banksy shows that the use of text in otherwise plain spaces works really well, as a result more and more people are taking to stencil kits to add some personalisation in their homes. Get creative like these designers did and soon the writing really will be on the wall. As there is a rising trend in environmental awareness there is also a concurrent trend for more greenery throughout the home. Designers have even resorted to building ‘green walls’ made entirely from living plants - however this is not easily implemented. Herb gardens are another popular source of greenery in the kitchen; however it is important to design your kitchen carefully, giving your herbs the optimum growing conditions. 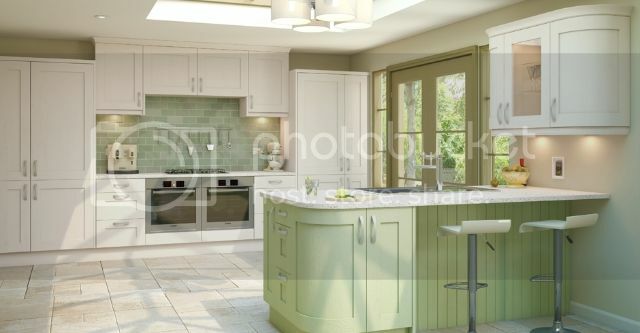 Kitchen designers from Wren Kitchens can help plan your kitchen to the last detail. Decorating feature walls with bright colours is a great way to add some flair into a home. As long as it is used in moderation and in rooms with plenty of open space, you can use it to break up the sometimes-dull creams and whites. Natural wood grains are being used to create the most impressive pieces of furniture and home art available. The beauty about using natural wood is that it will work with pretty much anything within the home. The only drawback with using natural wood is the price tag that often comes with it.